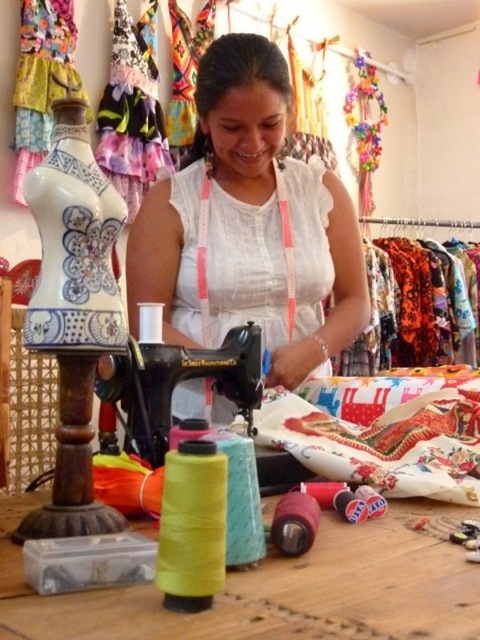 Patrice Wynne, moved to Mexico and launched “San Miguel Designs”, a company that employs local women in a fair trade environment. The Real Heroes of Mexico project was created in 2012 by Susie Albin-Najera, the creator and editor of The MEXICO Report, an internationally recognized blog showcasing everyday good news about Mexico The project was launched in order to showcase the true champions of Mexico, the unsung heroes in the community and those celebrating Mexican culture through their goodwill efforts, bravery, inspirational stories, sacrifices and hard work. I’m proud of you Patrice. You have accomplished a lot towards goodwill and inspiration for hard working women.